If I were stuck on a dessert Island and I had to pick just one ingredient to take with me, it would probably be potatoes. Potatoes are delicious, full of carbs to keep me energized, and incredibly versatile. You can eat them mashed, fried, in gnocchi or kugel, as a crisp latke or creamy chremsel. Which is probably why it’s been the choice of Passover sides for generations. But as much as I love potatoes, they don’t always love me back, especially when I eat them for 8 days straight! Lucky for me, today’s food trends are popularizing healthy, gluten-free alternatives to the spud. 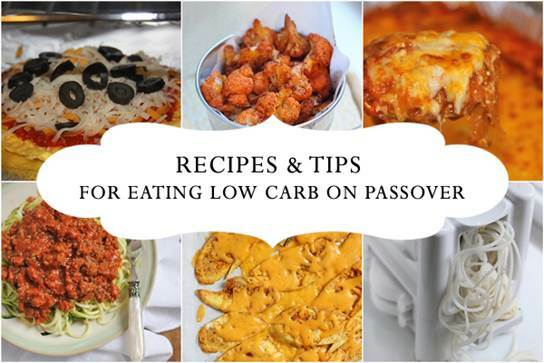 Here are some great ones and how to prepare them. Cauliflower buns: Thaw a 32oz. bag of frozen cauliflower. Pat dry and add to a food processor with the S blade attached. Pulse the cauliflower until it reaches the consistency of rice. (You may need to do this in 2 batches.) Place the minced cauliflower in a large piece of cheesecloth or a kitchen towel and squeeze out as much liquid as possible. Mix the cauliflower with 1/4 cup of almond flour, 1 egg and kosher salt, to taste. Using an ice cream scoop, place portions of the cauliflower mixer onto a greased baking sheet. Flatten lightly with your hand. Spray the cauliflower buns with cooking spray and bake at 400 degrees for 20 minutes. If desired, broil for 2 minutes to brown and crisp the edges. Cauliflower rice: Remove the leaves from the cauliflower and cut the florets off the core. Discard the core or save for soup. Roughly chop the florets. Grate them by hand, or put through the feeding tube of a food processor and shred with the grating attachment. You can also finely chop the cauliflower by hand until it reaches the consistency of rice. To cook, sauté the rice in a bit of olive over medium/high heat until tender and starting to brown, about 5 minutes. Season with salt and pepper. Cauliflower mashed potatoes: Cook a 32oz. 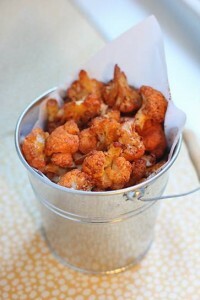 bag of frozen cauliflower in a pot of salted water until tender. Drain well, pushing down on the cauliflower with a potato masher to remove as much liquid as possible. Return the cauliflower to the pot and cook for a minute or two to dry it out further. Add 1/4 cup oil and 2-4 tbsp of milk or stock. Season with salt and pepper and puree with an immersion blender. Adjust consistency by adding more milk or stock. Garnish with chives. Cauliflower pizza crust: Thaw a 32oz. bag of frozen cauliflower. Pat dry and add to a food processor with the S blade attached. Pulse the cauliflower until it reaches the consistency of rice. (You may need to do this in 2 batches.) Place the minced cauliflower in a large piece of cheesecloth or a kitchen towel and squeeze out as much liquid as possible. Mix the cauliflower with a cup of shredded mozzarella cheese, 1 egg and kosher salt, oregano, basil and garlic powder, to taste. Form the “dough” into a round pizza crust and bake at 425 degrees, on a parchment-lined baking sheet, for 15-20 minutes, until it starts to brown around the edges. Remove from the oven, add pizza sauce and toppings and bake until cheese is melted. Zucchini “noodles” are all the rage right now and I, for one, am a huge fan! They’re very low in calories, and with a little creativity, you can make delicious, hearty dishes. Zucchini noodles aka zoodles: Using a julienne peeler, peel a large zucchini all around until you reach the center where the seeds are. Save that for soup. If using a spiralizer, cut the zucchini into 3 and working one piece at a time, spiralize to create “noodles.” Saute the zoodles with a little olive oil in a wok or large skillet, for 2-3 minutes, until tender-crisp. Season with salt and pepper. 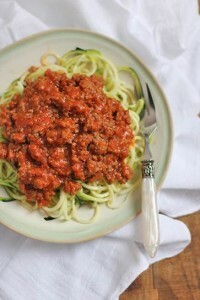 Add some marinara and shredded mozzarella for a lunch of cheesy zoodle marinara, or top with bolognese sauce for a healthy low-carb dinner. Zucchini pizzas: Cut a large zucchini into 1/4″ thick rounds. Brush with olive oil, season with salt and pepper and broil for 2 minutes on each side. 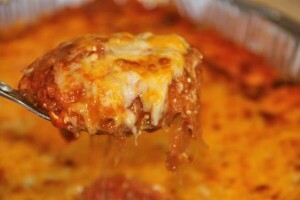 Top with marinara and cheese and return to the broiler until cheese is melted and starting to brown. Zucchini lasagna: Cut the zucchini lengthwise into thin strips and use in place of lasagna sheets. Alternatively, you may use a vegetable peeler to peel into thin strips and use for “lasagna” roll-ups or rollatini. Plantains have become a popular replacement for carbs, especially in the Paleo world because they are a resistant starch. The tropical fruit resembles a banana, with angular sides. The taste and texture of a plantain is determined by its stage of ripeness—firm and starchy when it’s green, and softer and sweeter when it’s yellow to black. Unlike a banana, plantains cannot be eaten raw. To peel a plantain, cut the ends off and make a few lengthwise slits through the peel, taking care not to cut all the way through the flesh. Working with one strip at a time, nudge your fingers between the peel and the flesh and remove the peel. one section at a time. Plantain chips: Using a mandolin or knife, cut a peeled green plantain into thin diagonal slices. Spread the chips out on a greased baking sheet and brush with olive oil. Sprinkle with salt (and other spices, if desired) and bake at 400 degrees for 10-20 minutes (depending on thickness) until browned and crisped. Cool completely. Chips will crisp up as they cool. Serve with salsa, guacamole. 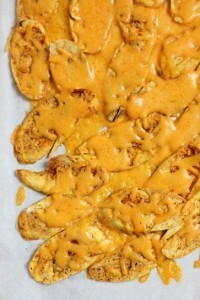 or use in place of tortillas for Passover-friendly nachos. Plantain tortillas: For savory “tortillas,” peel and cut 2 green plantains (about 10oz.) into chunks and blend with 1/3 cup avocado oil, 1/3 cup water, 1 tsp lime juice, 1 tsp salt, 1/4 tsp chili powder and 1/4 tsp garlic powder. If the batter is very thick, add a bit more water. Spread 1/4 cup of batter on a parchment-lined baking sheet and smooth with a spoon into a round tortilla shape. Continue with remaining batter. Bake at 350 degrees for 15-20 minutes, until soft and pliable. For sweet tortillas,use the same method as above using this recipe: 2 yellow plantains (about 10oz. ), 1/3 cup melted coconut oil, 1/2 tsp salt, 3 tbsp maple syrup, 1/2 tsp vanilla, 2 tbsp water. Plantain mash: Peel and cut a few ripe (yellow) plantains into chunks. Add to a pot of boiling salted water and cook until tender, about 5 minutes. Drain, mash and stir in butter and milk. Season, to taste with salt. Plantain cups: Peel and cut a few green plantains into 2″ chunks. Fry the chunks in hot oil until they are tender, about 5 minutes. Remove from the oil and place the chunks, one at a time, into a lemon squeezer. Press down to form a cup and refry until golden and crisp. Sprinkle with salt. Use to serve guacamole, ceviche, salsa or taco-seasoned beef crumbles. Spiralizing is another food trend that is not only healthy, but super fun too! My kids love to help me spiralize fruits and veggies and they’ve grown to love my butternut squash curly fries, apple cinnamon breakfast “noodles” and hearty zoodle bolognese. butternut squash (the neck only). beets, daikon radish, jicama, rutabaga, celeriac, kohlrabi, parsnip, turnip, yucca root, pear, apple and plantain. Spiralized buns: Using the 3MM noodle blade, spiralize a firm vegetable such a beets, potatoes or butternut squash (approximately 10oz.). Heat a bit of olive oil in a skillet and saute the veggie “noodles” for 5 minutes, until wilted. Let cool. Place the veggie “noodles” in a bowl and mix with a large egg, salt and pepper. Divide the “noodles” between 4 ramekins, cutting the “noodles” with kitchen shears, as necessary. Place a piece of parchment paper over each of the ramekins and place a heavy can over the “noodles” to flatten. Place the ramekins in the fridge for 15 minutes to set. Remove the cans and parchment paper from each of the ramekins. Heat oil in a skillet and turn the ramekins over to release the “noodles” (if there is any liquid in the ramekin, pour it into the sink before doing so). Press down on the buns to flatten and cook over medium heat for approximately 4 minutes per side. Place the buns on a greased baking sheet and bake at 400 degrees until tender. Use as individual pizza crusts or sandwich buns. Spiralized pizza crusts: Using the 3MM noodle blade, spiralize a firm vegetable such a beets, potatoes or butternut squash (approximately 10oz.). Heat a bit of olive oil in a skillet and saute the veggie “noodles” for 5 minutes, until wilted. Let cool. Place the veggie “noodles” in a bowl and mix with a large egg, salt and pepper. Pour the batter into a greased skillet and cover with parchment paper. Place a heavy pot over the noodles to flatten. When a crust has formed, turn the pizza crust onto a plate. Grease the skillet and flip the pizza crust back into the pan to cook the other side. 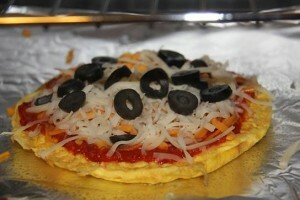 Top the pizza crust with desired spreads/sauces and cheese and bake at 400 degrees until cheese is melted and bubbly. Spiralized noodle rice: Using the 3MM noodle blade, spiralize your vegetable of choice (firm vegetables work best). 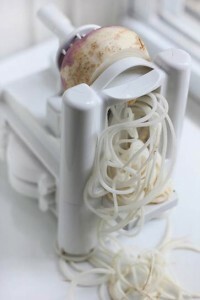 Place the vegetable “noodles” in a food processor and pulse until the “noodles” form little bits that resemble rice (you may have to do this in shifts). Saute the rice in olive oil and season with salt, pepper and desired spices. Add a bit of stock, cover the pot and steam until the rice is tender. Spaghetti squash seems to have lost its appeal every since the spiralizer gained popularity, but it remains a healthy alternative to “noodles” that can be used in a variety of ways. To prepare spaghetti squash, preheat your oven to 375 degrees. Cut spaghetti squash in half lengthwise and scoop out the seeds. Place flesh-side-down on a cookie sheet and bake for approximately 45 minutes until it pierces easily with a fork. Remove from oven and let cool. With a fork, scrape the insides of the squash and add the spaghetti strands to a bowl. Continue scraping until you’ve emptied the entire squash. If it’s hard to scrape, try returning the squash to the oven for another 10-15 minutes. The strands will be soft with just a little bite to them. Eggs have had a bad reputation for years, but thanks to new research, they’re making a comeback. Recent studies have found that eggs weakly affect blood cholesterol levels and actually help lower the risk of heart disease. Believe it or not, eggs actually make a great substitute for carbs when used creatively. Here are some great suggestions! Egg mcmuffin “buns”: beat 2 eggs in 2 separate bowls and season with salt and pepper. Pour each egg into a well greased round ramekin and bake at 350 degrees until set (about 15 minutes). Stuff the “buns” with a beef or sausage patty and enjoy a hearty breakfast. Egg pizza crust: Beat 3 eggs and season with salt, pepper and herbs, if desired. Grease and heat a 7″ frying pan. Pour egg mixture into the pan and let it cook until it sets around the edges. Flip the omelette, taking care that it does not break. Remove the omelette from the pan and set on a baking sheet. Top with tomato sauce, cheese and toppings of your choice. Bake at 400 until cheese is melted and bubbly.